← Yes, we’re new and we’re QRP. The kit costs a whopping total of $240 US. I don’t know where else you could find such a complete radio package (with built-in tuner and paddles) for that price. This radio (much like the Elecraft KX1) was designed specifically for QRP and specifically for field use–hence the major controls are mounted on top of the radio. No need to worry about a place to set your radio, just hold it in your hand (if using the built-in paddles). I got to play with a PFR3 and speak with a couple of people who had built them at the Dayton Hamvention this year. I was impressed with the radio’s ergonomics and tank-like feel as I held it. Though not a beginner’s kit, by and large people were very please with the ease of build. 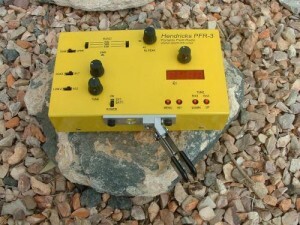 The instructions are pretty complete now that many people have built the PFR3 and given feedback to the Hendricks team. Check their site for updates and notices before you start construction. I’ve heard of two people who have actually built this kit in one dedicated day of sniffing solder smoke. Not a task for the faint of heart, though–and I wouldn’t recommend trying this at home. I am in love with my Elecraft KX1 and this radio looks like it could be its (bright yellow) cousin. Way to go, Hendricks! If you have used the PFR3 and would like to share your thoughts, register on QRPer (see top tab) and leave a comment! This entry was posted in Kits, Portable, QRP Radios and tagged Kits, Portable Radios, QRP. Bookmark the permalink.